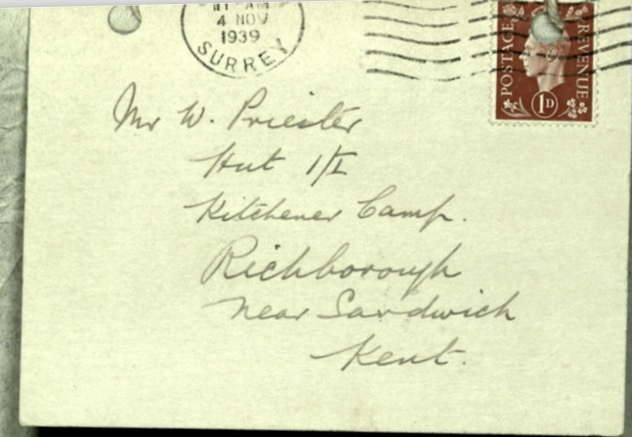 I mentioned the other day that thanks to a Kitchener family we have now obtained access through Google Earth Pro historic maps to an aerial shot of the camp as it was in 1940. I went to the Wiener Library yesterday to take another look at the long blue plan of the camp drawn up by architect Walter Marmorek. 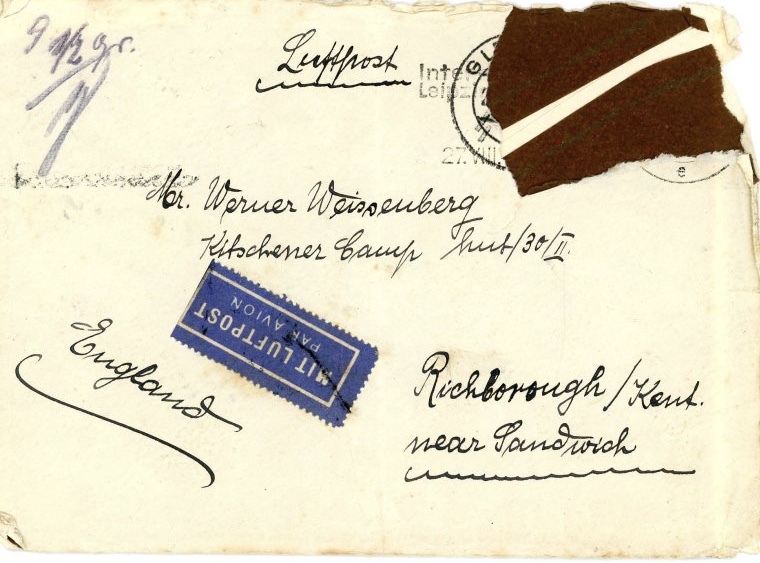 I believe this was given to Kitchener author Clare Ungerson by Marmorek, when she was carrying out the research for her book, Four Thousand Lives; and she donated it to the Wiener Library. The aerial map, as you will have noticed, is slightly ‘off’ – it looks to be more than one shot put together – so amalgamating the information from the two documents is taking some time. I thought I had a good solution worked out, and then realised we were missing some structures. This is because where the two aerial photographs have been joined (by Google, I assume), there is a line of structures that don’t really show up. Anyway, as a very rough guide to what I’m currently undertaking, I have uploaded an image of my ‘workings out’, below. Over the next couple of weeks, I hope to have time to upload a more ‘finished’ version! 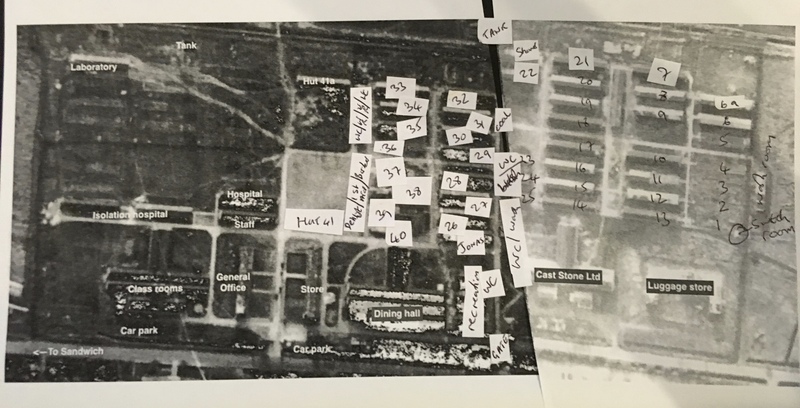 In the meantime, if you know which hut your father or grandfather was in, this will give you a decent idea of where they were located in relation to other huts and other parts of the camp: the numbered squares are the numbers of the huts. 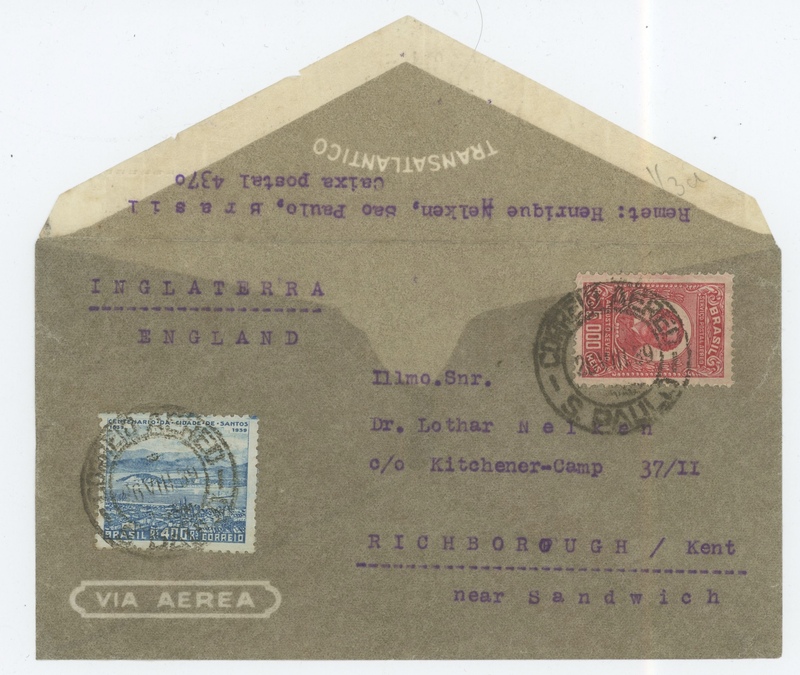 Each hut was divided into two halves, labelled I and II (left to right), as you can see on some of the addressed envelopes that families are sending in. And a quick question: does anyone know anything about Cast Stone Ltd? 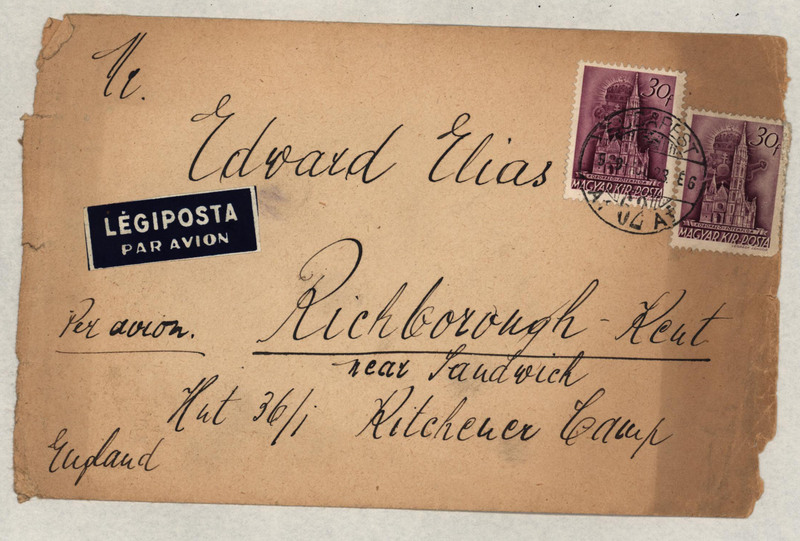 It looks as though a company of this name was operating within the camp grounds, but I don’t (yet!) know anything about it. Previous Previous post: Kitchener Haggadah?